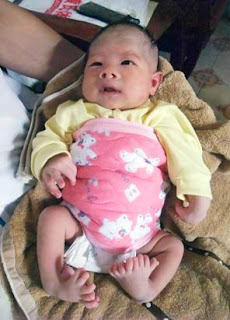 An 8-day-old infant, weighing 7.5 pounds, was born with eight toes on each foot. Experts say the misshapen and excrescent toes are rare and were most likely caused by a genetic variation or environmental pollution in the area, the local media reported. it’s a baby boy .